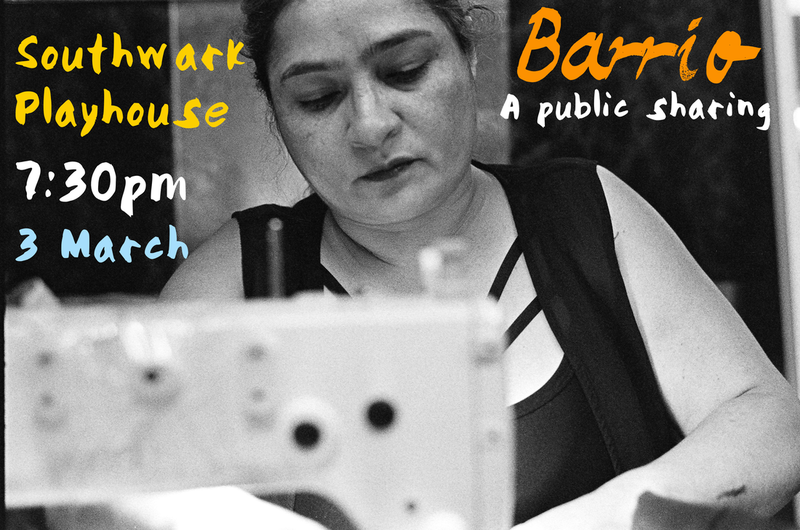 Following a successful public sharing on 2 December, I will be taking part in a collaborative exhibition, Barrio, on March 3 from 7:30pm at Southwark Playhouse in London. This exhibition celebrates and documents the business owners inside Elephant & Castle Shopping Centre which is being torn down due to extensive regeneration in the area. The show particularly focuses on the Latin American community and key activists, attempting to highlight the difficulties facing these business owners as they work towards adequate compensation in their relocation. These large-scale drawings are portraits of local activists and traders in Elephant & Castle Shopping Centre, created specifically for Barrio. This project documents and celebrates their contributions to the local area before their shops are closed, subject to London regeneration displacement. All images are 1m x 2m in size.